The Car Shaped Hot and Cold Pack stores in the refrigerator for cold therapy or in hot water for hot therapy. 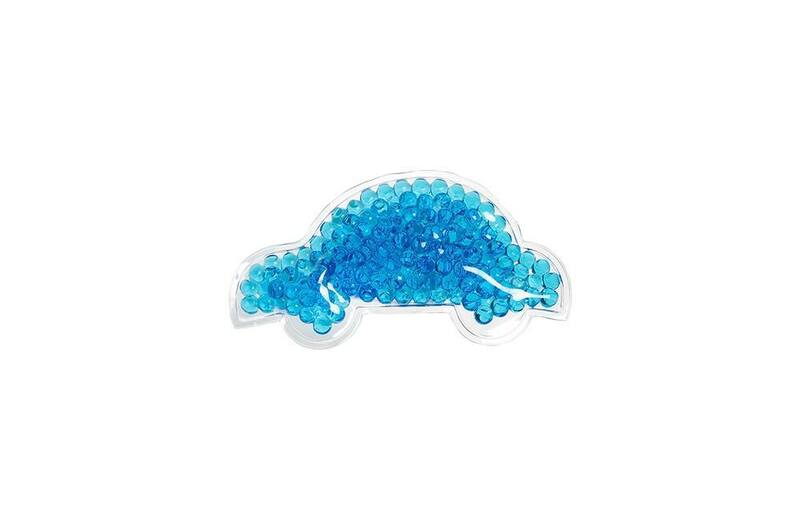 Item size: 5-5/8" x 2-3/4" x 1/2"
Our Car Shaped Hot and Cold Pack is reusable, cost effective, non-toxic, soft, and pliable. When kids get hurt, this little blue car will help them calm down and make them feel good. Store it in the refrigerator for cold therapy or soak it in hot water for hot therapy. The pack makes an excellent corporate gift and an ideal giveaway for special events, retail sales, sporting events, medical and dental clinics, physiotherapy clinics, corporate advertising, and much more.